MIT’s Erik Brynjolfsson wrote about the productivity paradox in a 1993 paper, which can be summarized as the contradiction between technology investments and its benefits (lack of) to organizations. The main takeaway is that technology should not be measured in terms of economics benefits. It should, instead, be seen as an enabler and part of a wider process change in the organization. Due to vague understanding and wrong measurements, potential solutions do not have the chance to be implemented. Play and productivity are caught in a similar paradox. Play has a bad reputation with productivity. When play comes to mind, we naturally assume that it is disruption to work. But, have you ever thought that play might be the antidote to higher levels of productivity? Play, coupled with the dynamics of our social network, brings about a cool synergy that makes everyone focus and happy. We grumble in the face of dull work but throw in play, happiness blossom and productivity stays positive. Play boosts morale and enthusiasm; it makes you want to do. It does not rely on extrinsic cues to rein in participation. No one likes working in a stiff environment or under a stern boss. Adding an element of fun relaxes the atmosphere and contrary to popular beliefs, it does not prolong work completion. When we engage in play, stress gets reduce, which improves creative thinking and social relations. Social relations are vital for ideas generation, sharing and learning. A harmonious social network is a product of being relax and comfortable, and being open to one to another. Transparency brings about lower incidents of miscommunication, improving productivity. Productivity is the ability to do work well. 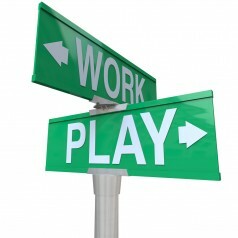 Therefore, play does not clash with productivity, they are partners in crime. Play should not be limited to a child’s priority. Play results in uninhibited children, leading them to be fearless risk takers with low censorship. This gives room for learning and sharing, without the excess baggage. Adults should be actively involved in play, especially in the work context. It is probably the serious act that leads to adults being frustrated and stress at work. Negative emotions produce bad work, hampering productivity instead. Play promotes exploration and sharing, which improves productivity. There should never be a paradox between play and productivity. The productivity paradox is about wrong measurements and wanting more for less. In terms of human capital, we are productive only when we are happy and well. We need to consider play as a measurement tool. The challenge is to build a bridge of play and productivity. Gamification would be the gel to involve play in work context. Through applying game context and mechanics into non-game situations, play is introduced. 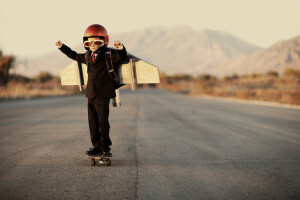 Gamification holds the fundamentals of play, share, learn and explore. These fundamentals are all about encouraging the creation of a casual and relaxed atmosphere. Hence, we should leverage on technology to embrace the possibility of bringing fun to whatever endeavour we pursue.